Unforgettable and unbelievable trip to Leipzig. So many meetings with my dearest friends from all over the world, love you! Raven's Tot Just Dance (Britney) - CW, CACIB and World Winner title! Also she is now German Champion! 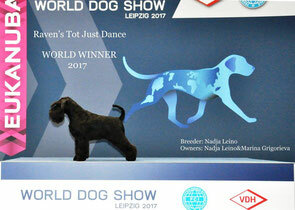 Rave's Tot Morning News (Nikita) - Open Class Winner on WDS! B&s Raven's Tot Out Of The Blue (Joe) - exc. in Junior Class on WDS. Today in Porvoo we had very strict judge Nina Karlsdotter. 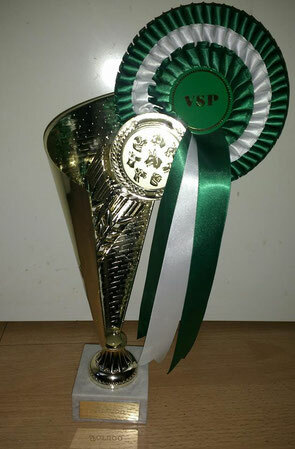 Only 4 SK among 10 black minies, and there were "good" and "disc" among ribbons. 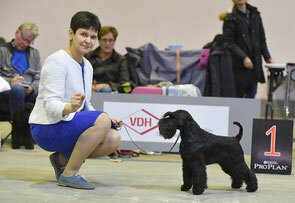 Our always happy Niki (Raven's Tot Morning News) was CW, and BOS with very nice critique. Little Kiira (Raven's Tot Own The Stage) got vg. We had couple wonderful weekends in Russia with dearest friends. 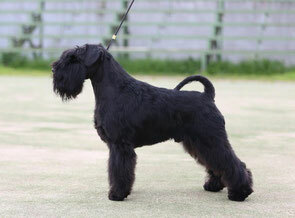 Also we showed Raven's Tot Morning News (Niki) on two International Dog Shows .He got 2x CAC and res.CACIB, and became Russian Champion. 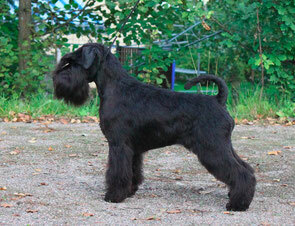 Today our M-litter (Unjedi Fandango x Raven's Tot Just Dance) are 2 years old. Congratulations Nikitos, Nero, Freke and Maisa!